THUMBS UP in Monte Carlo and back to the BSSH! 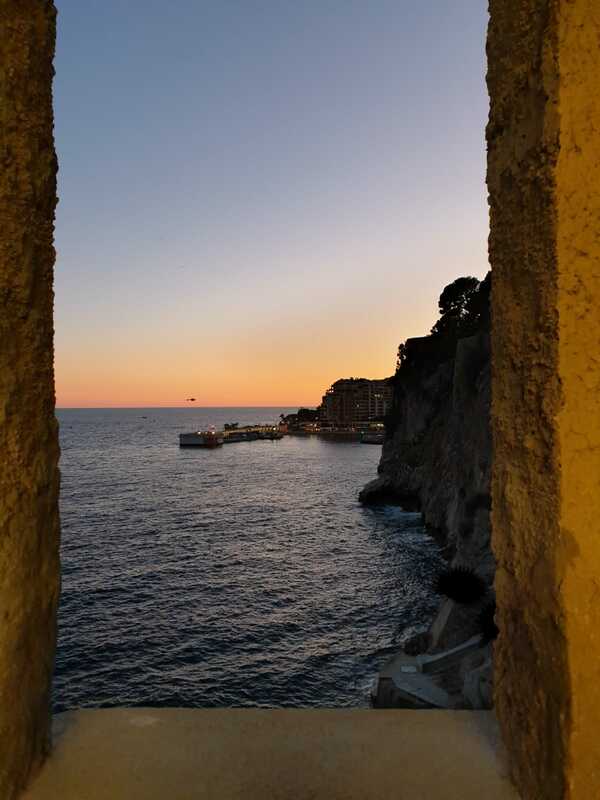 We spent the tail end of last week in Monte Carlo for a meeting (mostly conducted in French, but with English “subtitles” on the powerpoint slides) about CMCJ osteoarthritis – from needle to surgery. 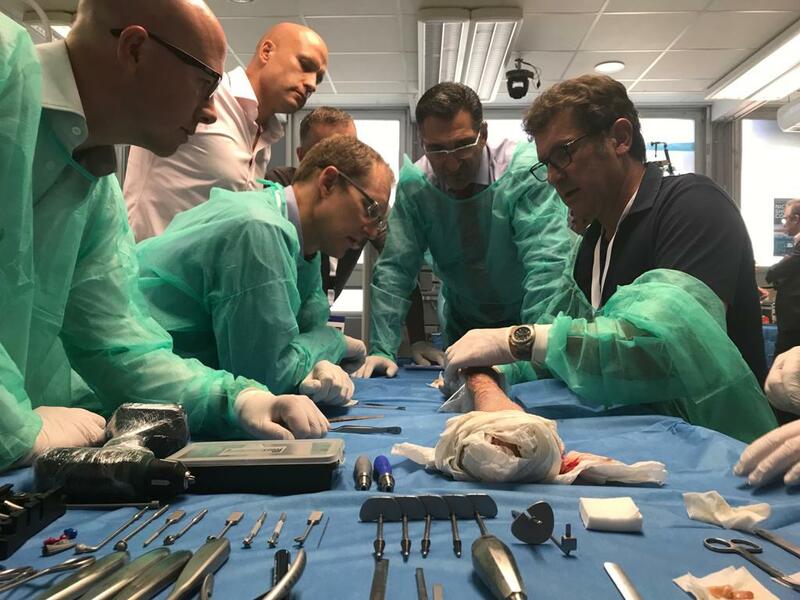 This excellent course was hosted by Dr Bruno Lussiez and Dr Pascal Ledoux, who between them have a huge experience of over 1500 CMCJ replacements, and who came together 4 years ago to design the TOUCH CMCJ prosthesis that we proudly distribute across the UK. The congress consisted of lectures on the Thursday and Friday, with a cadaveric workshop hosted at Nice University Hospital anatomy laboratory on the Thursday afternoon. 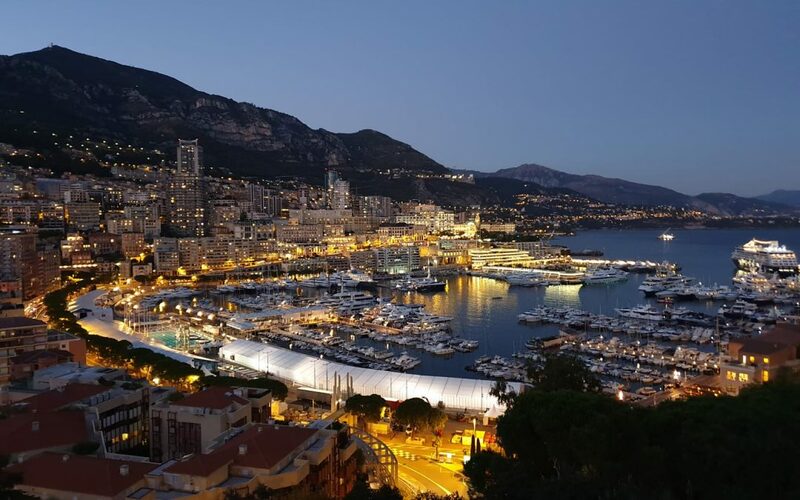 There was even time for a brisk run around the Principality of Monaco upon arrival on the Wednesday evening and finally a bike ride along the coast to Italy on the Friday afternoon before returning home. 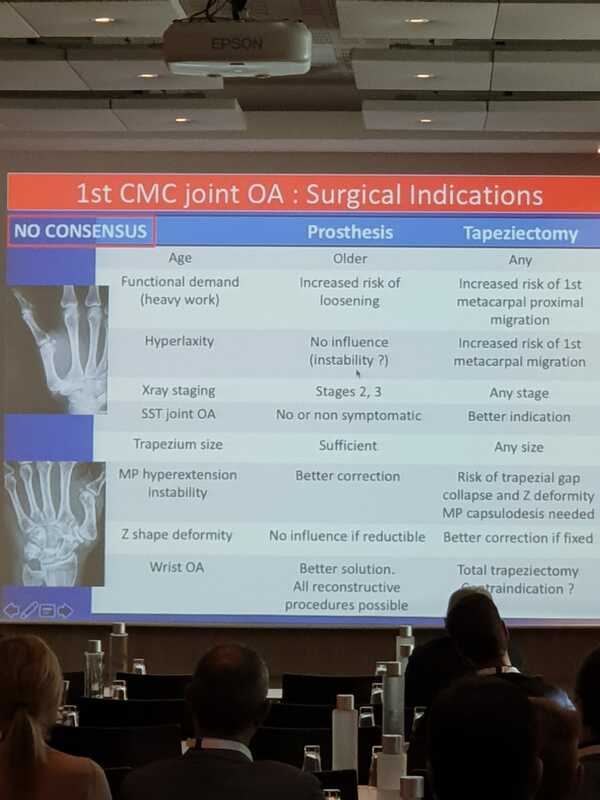 Of particular interest was the presentation showing prospective follow-up of 231 TOUCH CMCJ cases with 0 dislocations after 2 years. The TOUCH is a dual-mobility prosthesis, benefitting from excellent primary stability and functional range-of-motion. The system comes with dedicated, cannulated instruments to accurately prepare the trapezium for implantation of the cup, and the metacarpal stem benefits from a female morse taper to accommodate a range of adjustable neck lengths, so that appropriate but not excessive joint tension can be achieved intraoperatively. LEDA Orthopaedics are exhibiting this week at the British Society for Surgery of the Hand Meeting in London. 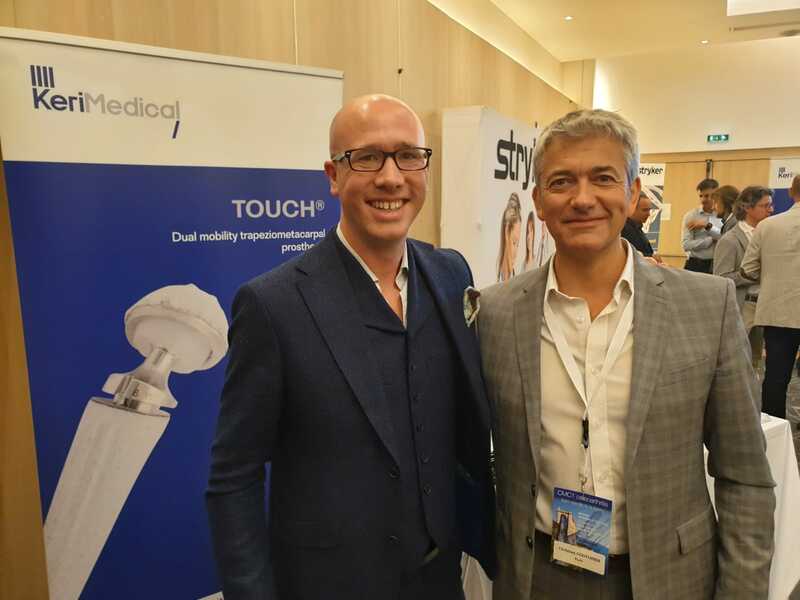 We are on stand no.2 in the Cambridge Room at the Queen Elizabeth II Conference Centre and we will have not only the TOUCH instruments and implants at the BSSH booth; we will also be joined by Joannes Perret from Keri Medical (manufacturer of the TOUCH and dedicated to hand & wrist surgery only), and Christian Couturier, hand surgeon from Paris with experience of over 500 CMCJ replacements. Whether it’s the south of France, or central London, LEDA Orthopaedics are committed to the responsible promotion of CMCJ replacements with a full medical education programme, follow-up database and international network of experienced clinicians. We look forward to discussing this exciting topic with you soon.